It’s your best friends birthday again and you can’t get her the same gift over and over again each year. Well now you have the perfect gift that they will never forget! Introducing Tribute, which gives you the easy ability to make a video montage as easy as ever with all of your closest friends. They do all the dirty work for you setting up the invitation and organizing the videos however you want them. CEO Andrew Horn takes us through his new product and what inspired this sentimental product. A “Tribute” is a video montage of friends, family and loved ones (a “Tribe”) that come together to share their appreciation, admiration and support for a person they care for. Our technology automates the invitation, organization and editing processes so users can create professional quality video gifts without spending a large amount of their time or money. 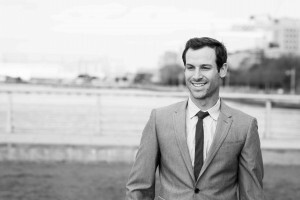 Existing technology does not support the demand for collaborative video creation. We have built the first mobile-web software that makes it easy to create beautiful, collaborative video montages. The greeting card market ($8B)is moving towards video, and the video messaging market ($25B). Furthermore, 41% of Internet users upload video content. This number doubled in the last 4 years and it will again. We are on the brink of a user generated video explosion. 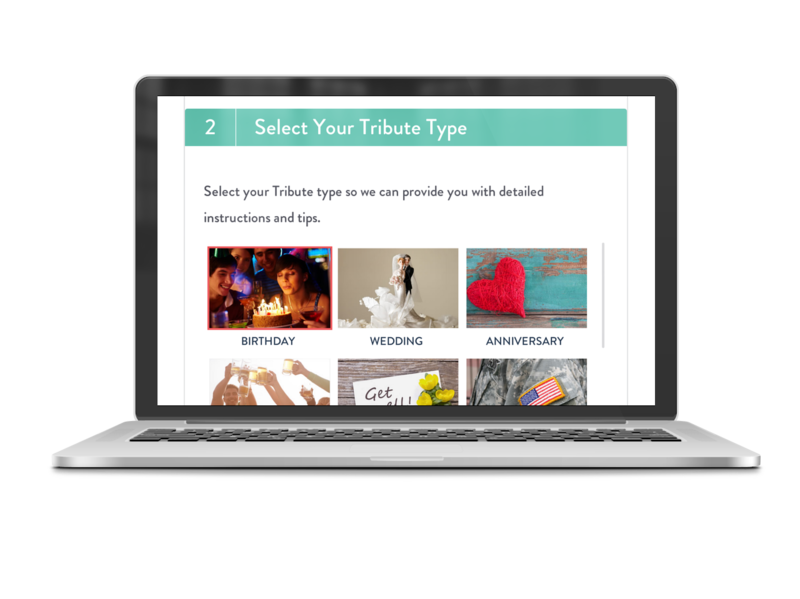 Tribute offers a mix of pay-products and freemium offerings to reach all customers. Most importantly, we engage customers at a time when they WANT to spend money on a gift. Customer Acquisition Built-in: We receive an average of 18 new email addresses for every Tribute we launch. Tribute started in the summer of 2013 as a simple gift from my girlfriend Miki. She sent an email to 20 of my closest friends and family, asking them to share a video telling me why they love me or how I had impacted their life. Miki edited all the clips into a video montage. It was the most meaningful gift I had ever received. After hearing how difficult it was to create the video, I committed myself to starting a business that could help the world create these meaningful videos for the ones they love…before it is too late. No one ever invested in a company because the founder was nice. Don’t ask people to invest, invite them to join you. We think Brooklyn is home to one of the most exciting and diverse startup communities on the planet and are proud to call it home. WILD – West Village and Williamsburg.